Welcome to Peterbrooke! Our hand-made, gourmet chocolates are made fresh daily by our skilled team of chocolatiers. In addition, we offer delicious, authentic gelato. We’re located on Park Avenue in beautiful downtown Winter Park, Florida. Peterbrooke Chocolatier of Winter Park is locally owned and operated by husband and wife team, Kevin and Jami Wray. We are supported by a strong team of talented, knowledgeable, friendly and helpful chocolatiers. Stop by and enjoy a complimentary sample! Peterbrooke Chocolatier transforms the art of fine European chocolate making into a truly American experience by combining the very best ingredients and old world techniques with a variety of all-American treats. Traditional favorites like decadent truffles, hand-made, caramels and cherry cordials indulge even the most discerning chocolate connoisseurs. 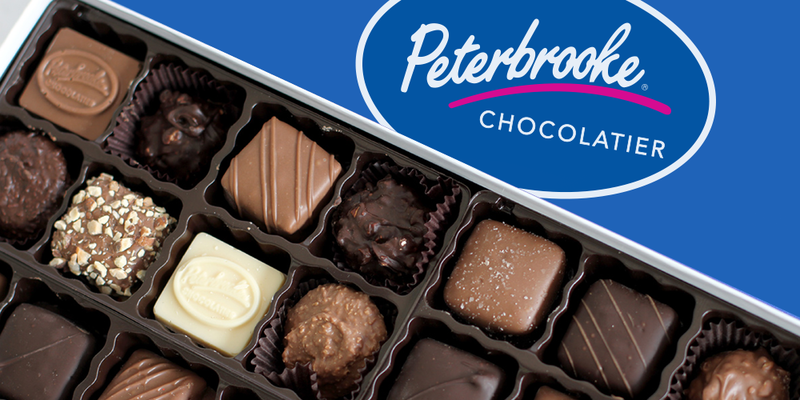 Specialties such as chocolate covered cookies, pretzels, popcorn and strawberries which are hand-dipped daily with Peterbrookes own unique blend of milk chocolate, rich decadent dark and creamy sweet white chocolates.